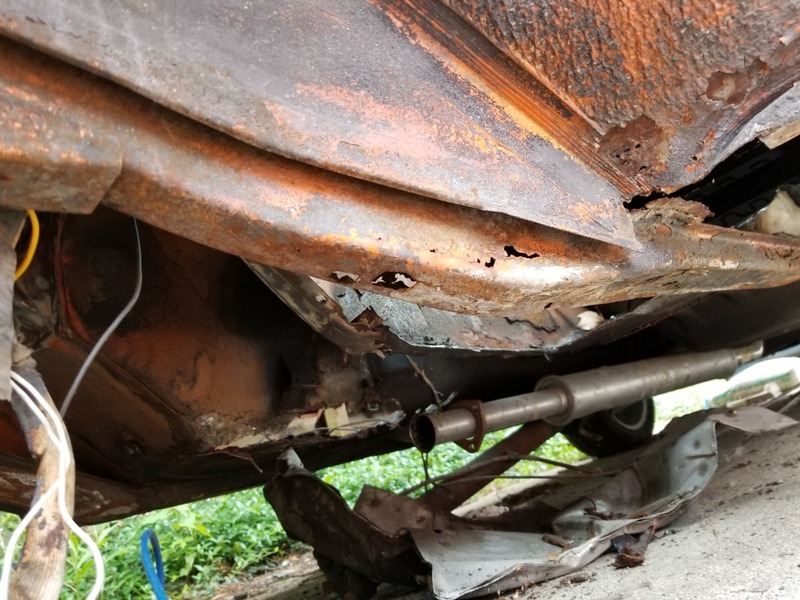 September rolled around, the car has been on jackstands for a year, and I knew if I didn't get the rust repair finished, I'd never get this car back together. 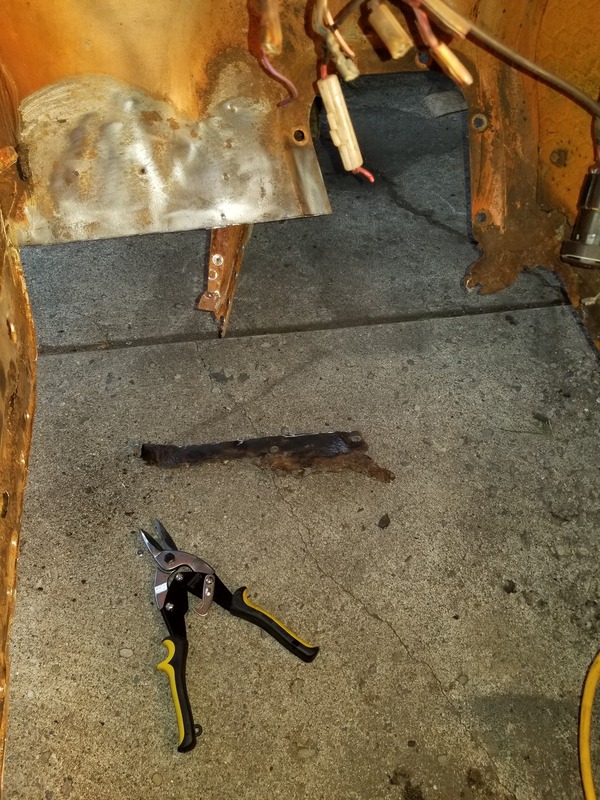 So what do you do when you have no welding experience and have lots of questions? 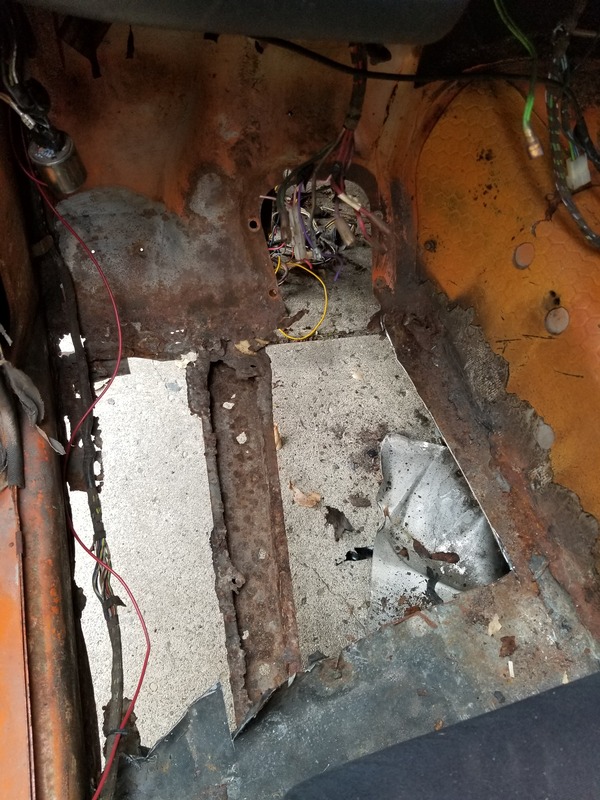 Post to the forum! Armed with knowledge, time to get this rustball rolling. 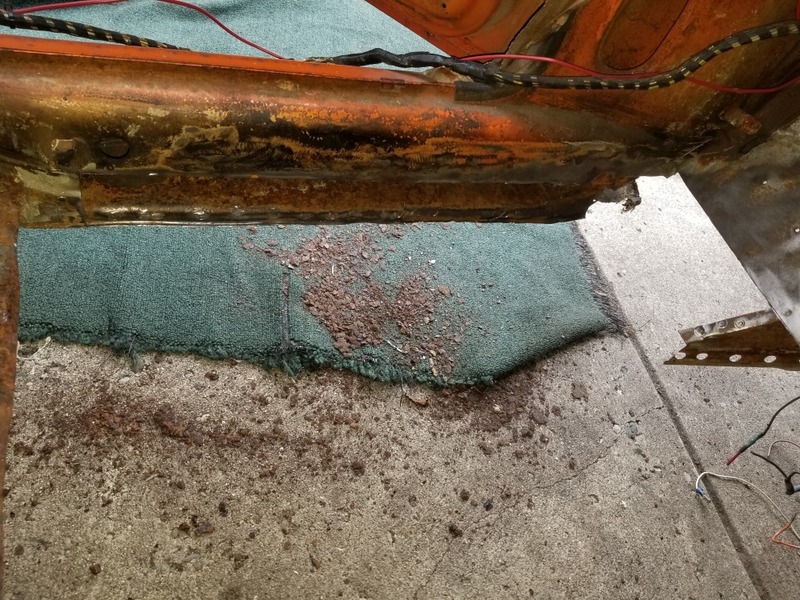 The floorpan had been "patched" by a previous owner very poorly, I ripped that out. 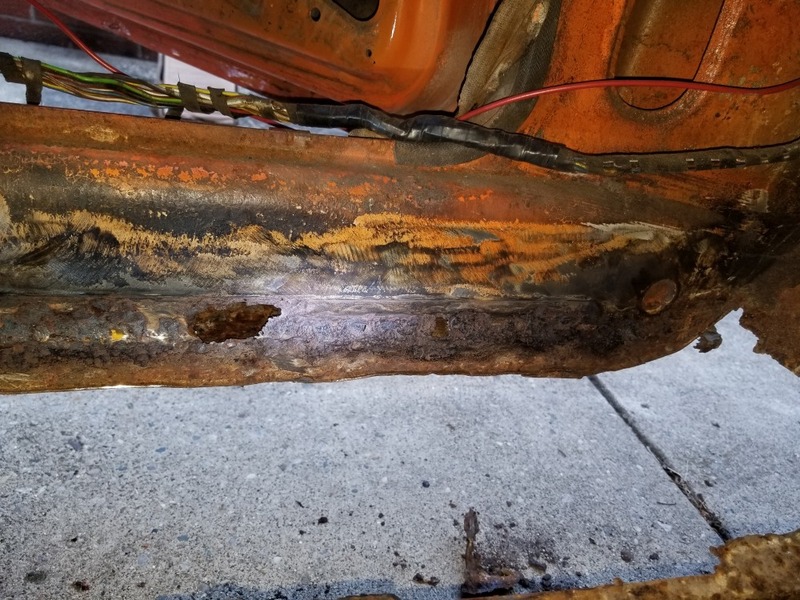 The frame extension was completely rotted, the lower inner rocker was rotted, and the the area below the pedal box was completely gone.